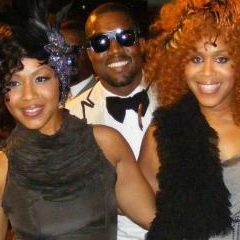 Mary Mary and friends had a great time shooting the video for their hit song, "God In Me". Check out the images as GOSPELflava.com's Steven Jones takes you behind-the-scenes. White House (an evening of celebration with President Barack Obama, Mrs. Obama and Stevie Wonder). Erica and Tina Campbell recently wrapped up shooting for their upcoming video for the popular song, "God In Me", from their chart-topping album, The Sound. Cameos in the video include and the CEO of MyBlock Records, Warryn Campbell. Check out exclusive pictures as GOSPELflava.com's Steven Jones was on hand for the occasion.